In this episode, Stacy and Sarah invite Bill Staley and Hayley Mason of The Food Lover’s Kitchen, authors of Make it Paleo and the recently released Gather, the Art of Paleo Entertaining, to discuss the release of their new book, tips for paleo baking, and food suggestions for non-paleo guests and colleagues. If you are a fan of the Paleo View, we will be launching a pay monthly bonus podcast this Sunday! This month, for Mother’s Day, we’re releasing a podcast we recorded for Stacy and Sarah’s MOMS! If that’s something you’d like to hear, watch for the release on Sunday! And just so you know, ALL episodes can now be downloaded from iTunes! Welcome Bill Staley and Hayley Mason of The Food Lover’s Kitchen! The Gather launch party was held at Bar Marco, and the chef put together a gluten-free menu and desserts were brought from home – overall had a great turnout and lots of fun! Sarah asked her Facebook followers what question requests they had for Bill and Hayley, and the common theme was around paleo baking. So Sarah wants to know, what is your general approach when you have a recipe you want to adapt to paleo ingredients? (39:48) How do you cook for company when the people you are cooking for do not eat a paleo diet? (59:40) Nicole: Do you have suggestions on simple swaps I can make to standard snack foods? Bill and Hayley’s second book, Gather, the Art of Paleo Entertaining is available – so go get your copy! And if you don’t have Make It Paleo, you also need to add that to your collection – throw in Beyond Bacon and The Paleo Approach as well! REMINDER – check The Paleo Mom and The Paleo Parents websites on Sunday for the special Mother’s Day show and please go post your reviews on the podcast! 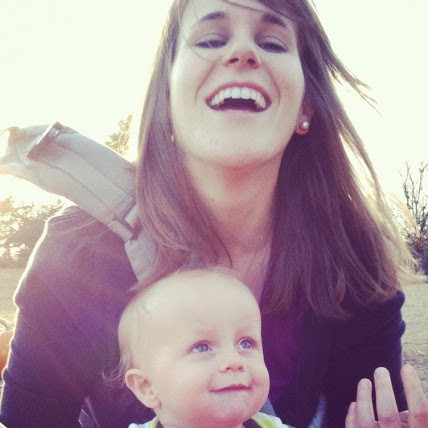 Monica is the latest member of the Paleo Parents Team! Raised in a full-on hippy house, she was taught to love the land and the animals that feed from it. From old school hog butcherings to berry farm harvesting treks, her parents showed that health began with food choices. However, her teen years brought her down a rebellious path with food and she began to struggle with the world of weight-gain, yo-yo diets, and eating in secret. It wasn’t until her husband nudged her in the direction of the Primal Blueprint that she learned how to break my unhealthy cycle. Now she is carving out her own hippy life and learning how to raise a paleo family in our modern-day grain and sugar crazed world. Monica can be found at thepaleos.com as well as Instagram, Twitter, and Pinterest .